Internet of Things (IoT) technologies can connect vehicles and infrastructure everywhere in a city, and make it safer, smarter and operate more efficiently. Boosted by technologies going mainstream, a better structured ecosystem and proven use cases appear in various verticals. M2M services indeed are set to play a key role in our increasingly connected world. M2M development brings inspirations for creating a smart city. In these cities, individual areas are already becoming “smarter” – from connected street lighting to intelligent public safety, from smart energy to water management. 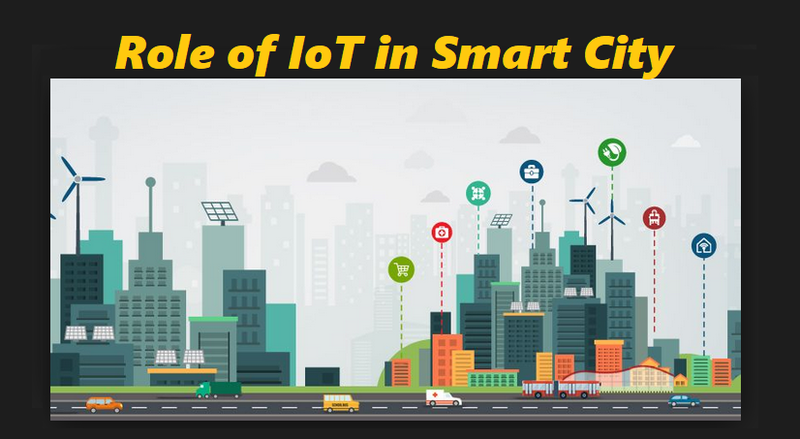 The technical basis for the Smart City is IoT. At the heart of each IoT application is the IoT module. Cities, public organizations and Industries across the country want to reduce high energy and lighting costs by replacing their aging outdoor and street-lighting infrastructure. Smart lighting control is an example of how the Internet of Things can generate real financial savings by embedding intelligence and connectivity into everyday objects. Smart lighting makes outdoor lighting more efficient, safe, and affordable with open-standard control networking technology. Smart street-lighting sensors are connected to IOT technologies. Smart is most important component for a smart city because Searching for a parking spot in a crowded city center can at times be annoying and time-consuming. According to many researches, drivers aimlessly looking for a place to park cause up to 30 percent of all urban traffic congestion – not to mention the environmental cost and energy waste. However, a smart parking IoT solution could solve these problems. NB-IoT is a suitable technology for smart parking in cities, which can help realize the reservation and sharing of idle parking space. Problem of every city but we solved with Web-based waste container monitoring and advanced forecasting system can greatly improve efficiency for waste collection fleets. It has wireless module and sensor installed in the waste containers, which can monitor whether the garbage bin is full or whether there is a potential fire, and the module will send relevant data to the backend for analysis. The system then calculates optimised collection schedules and routes, send the information to urban cleaners, and hence increase their work efficiency and save manpower cost. Sensors can be placed around the city to continuously monitor critical environmental parameters like electromagnetic field, noise, temperature/humidity, CO2/toxic gases, combustion gases to detect fire and so on. Analysis of this data can give insights on critical environmental conditions at various places in the city along with their trends. Internet of Things (IoT) is empowering cities to respond quickly to demographic and economic shifts. It connects devices, vehicles and infrastructure everywhere in a city and makes it safer, smarter and operate more efficiently.